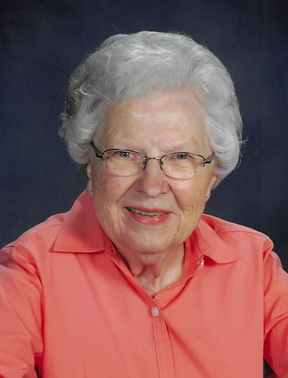 Bernice Melby, 97 of Battle Lake died Thursday, November 22, 2018, at the Battle Lake Good Samaritan Center. Bernice Carolyn Melby was born on April 8, 1921, on a farm by Echo, Minnesota, the daughter of Edward and Birgitta (Germundson) Sebey. She was baptized and confirmed in the Lutheran Faith. Bernice attended country school, then graduated from the Breckenridge High School in 1939, and then furthered her education with the Minneapolis Business College. After her schooling she was employed with the Minneapolis Gas Company. Bernice and Harrison Melby were married on February 8, 1944, in Reno, Nevada, and following Mel’s military discharge they lived in Fergus Falls. They had the Corner Store on Otter Tail Lake. In 1950, they moved to Norwalk, California where they lived until 1962, when the family returned to Minnesota and built Mel’s Market on Otter Tail Lake. Bernice was also a Secretary for Otter Tail Power Company until her retirement. They sold Mel’s Market in 1986, and in 1993, moved to their home in Battle Lake. She enjoyed crossword puzzles, painting, cross stitching, and quilting with the Zion Church ladies. Bernice was a member of the Zion Lutheran Church of Amor. She is survived by two daughters, Pam Peake and Pat (Gene) Kelm both of Battle Lake; six grandchildren and eight great-grandchildren, Jason (Melissa) Byars, Harrison, Emma and Charli of Rapid city, SD, Molly Bruininga and Cooper of Battle Lake, Katie (Todd) Jenkins, Luke and Noah of Alexandria, Virginia, Mike Byars of Battle Lake, Benn (Jori) Kelm, Jali and Hoyt of Parkers Prairie and Alex Kelm of Minneapolis; and by numerous relatives and friends. Bernice was preceded in death by her husband, Mel on March 18, 1998; three sisters, Ruth Campbell, Gertrude Hallett and Theola Snyder; and by two brothers, Orville and Prescott Sebey. There will be a graveside service in the spring at the Zion Amor Cemetery of rural Battle Lake.